Welcome to the home page of Per Bene kennel. 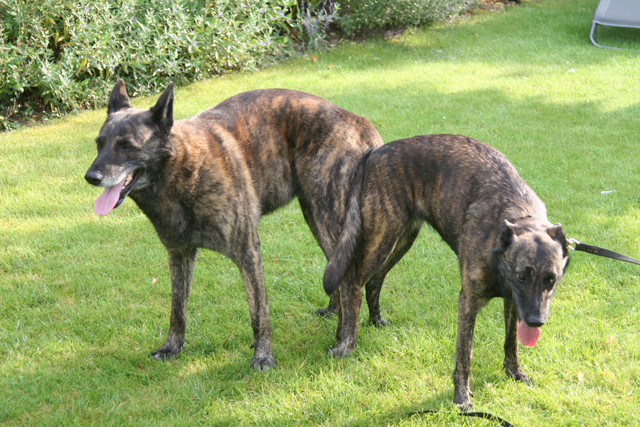 Actually we have three dutch shepherds: foundation female ITSKE v. d. s'Gravenschans, her son from first litter THERRU SUN SHINE Per-Bene and daughter from second litter ACHAJA TIGER LILLY Per-Bene. You will find here informations about them and about the breed. 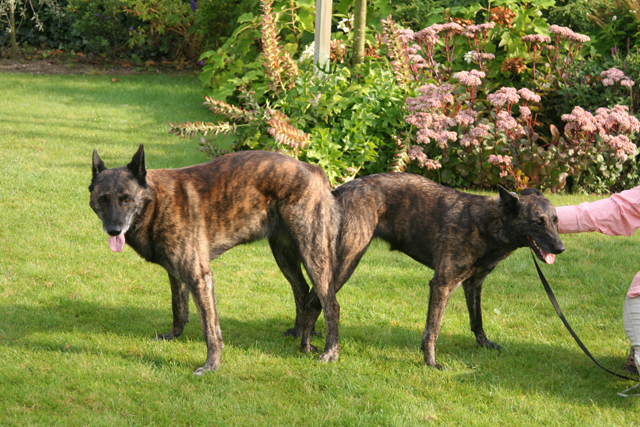 We are open and willing to answer any question about Dutch Shepherds. 13.06.2017 - Puppies are coming! Pregnancy confirmed, we expect a big litter. If you are interested, please contact us via e-mail: psia.tresura@gmail.com or phone +48 534 712 998. On 8-9th February our Therru on X Valentine's Day Dog Show in Bydgoszcz got excellent and titles Junior Winner, Breed Winner and Best Junior, so he's now a Polish Junior Champion! He was judged by Zlatko Kraljić. 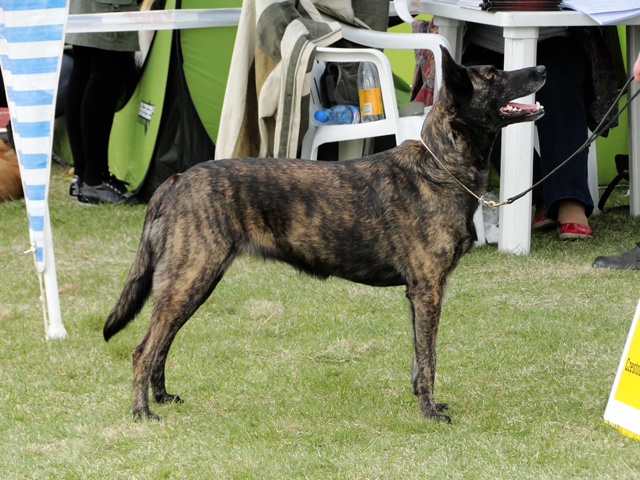 Description: "Strong, nice build dog, nice proportions, nice head, good topline, good movement". 04.01.2014 - We have puppies! 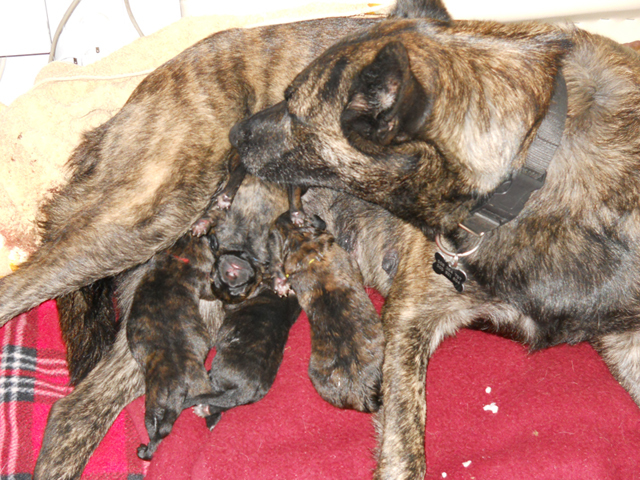 We are really happy to announce that on 3rd January born 11 puppies (6 girls and 5 boys) after Itske and Hitchcock. The mother and all puppies are healthly and feel good. 15.11.2013 - Waiting for puppies!! We are pleased to announce, that in early January we are expecting puppies after ITSKE v. d. s'-Gravenschans and Boyd's Bullriding HITCHCOCK. 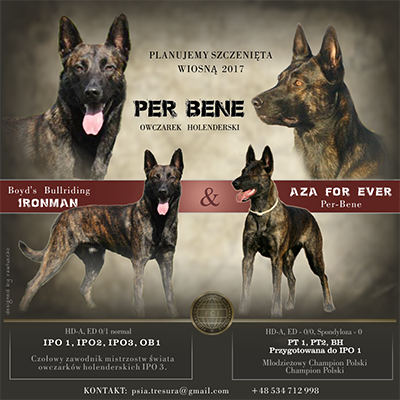 We invite all people interested in an active and sport breed. More informations in "Puppies" section. On 6th October Tara on the national Dog Show in Rybnik judged by Małgorzata Hałas got excellent and titles: Junior Winner, Breed Winner and Best Junior! Description: Correct head, excellent topline, proper move of the limbs, very god angulation, excellent temperament. 22.08.2013 - More successes of our dogs! On 11th August Therru on International Dog Show in Sopot got excellent and won titles: Junior Winner, Breed Winner and Best Junior! His brother Troy took the second place getting excellent also. 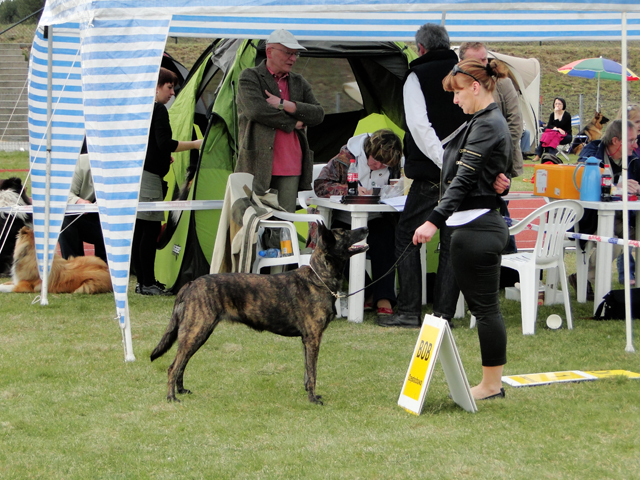 On 17-18.08.2013 in Pastuszkowo were held the IHT TS competition where Itske took 3rd place in the I class! We are really happy and proud of our doggies. 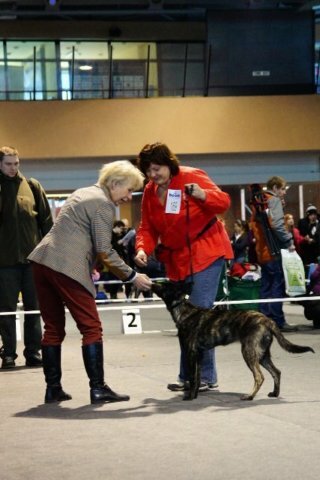 Yesterday Therru Sun Shine Per Bene had his debut on the Dgo Show in Warsaw (puppy class). Description: beautiful, typical head, nice dog with good proportions, a little straight-shouldered and with little underdeveloped chest, good movement. 24.04.2013 - We are plan second litter after Itske! In the end of the year we are plan second (and the last) litter after Itske. 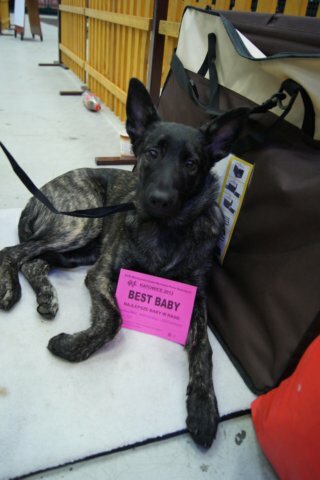 We didn't choose the father yet, but it will be nice build, working and HD-free dog, probably from Netherlands. Contact us if you are interested. 24.04.2013 - First Tara's success! "Nice puppy, excelent brindling, nice head, good eye, well set ears, nice temperament." 28.10.2012 - Here they are! Today have been born 5 puppies - 4 boys and 1 girl. All, mom and babies, feel fine! You can see more photos in Puppies section. 19.10.2012 - Waiting for puppies!! We are pleased to announce, that in turn of October and November we are expecting puppies after ITSKE v. d. s'-Gravenschans and COBBER DINGO v.d. s'-Gravenschans. Breeding was held in Netherlands on 29-30.08.2012 yr. We invite all people interested in an active and sport breed. As in previous years, also this year Itske was a star in a show ring leaving us in no doubt as to her exceptional beauty. 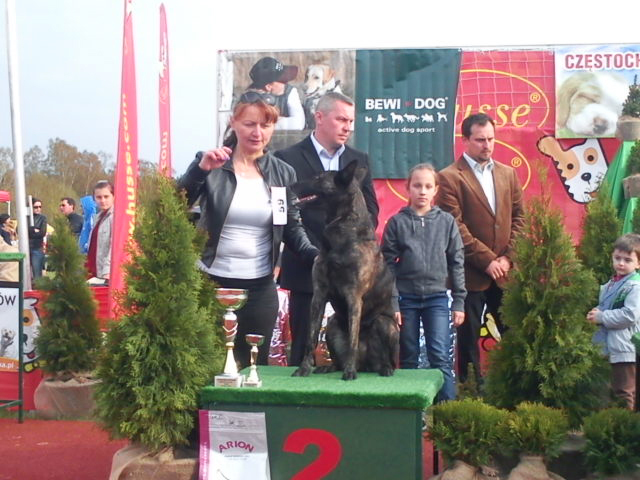 On XLI National Dog Show in Częstochowa firstly she earn Best of Breed judged by Miroslaw Redlicki, who emphasized in the description her perfect build, excellent character, condition and movement, and then fighting for Best of Group - judged by Ewa Bukład - she stood on the podium winning 2nd place.